We are just one game away from seeing the Orange of Adel for the first time playing at the Olympic Park this June and we need your support! This Sunday Adel Mixed 1s take on Golborne Mixed 1s in the quarter-final of the England Hockey Mixed Championships here in Leeds. Stand out performances from Harriet Thomlinson, Rich Hinds and Jack Stevenson aided Adel’s route past local rivals York in the round of 16. Edd Holford scoring the winning goal with reverse flick finish to win 1-0 in a highly competitive and tight game. Adel faces a team full of goals and spirit in the last 8. 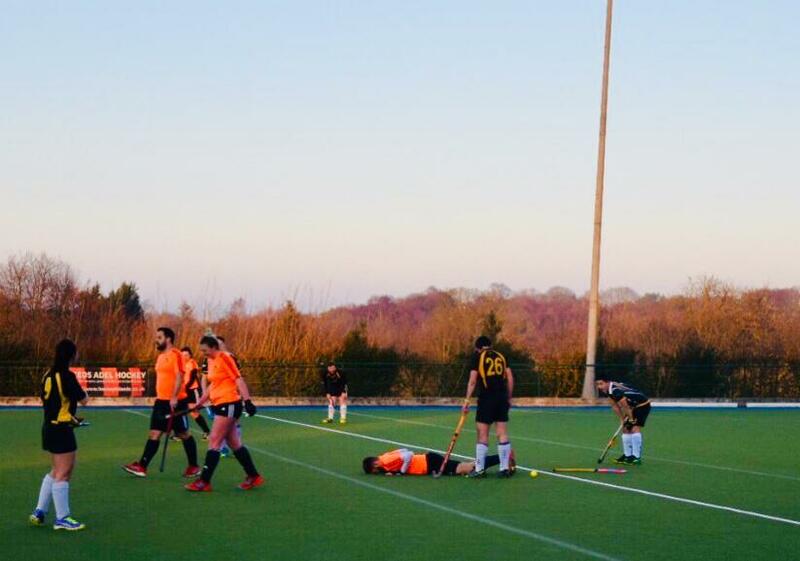 Golborne HC came from 5-3 down away at Prescot to take the game and win on flicks in their round of 16 game. The game will showcase some of the best men and women we have at the club. We are hoping to get as many of our junior members as possible to come and support as this will be a fantastic example of hockey for the boys and girls at our club which we hope, along with the cup atmosphere, will act as inspiration! Like many of those in the team this weekend we hope many of them will be competing for Adel at the highest level in the coming years! Unfortunately, due to the fencing and dugout upgrades at our home pitch the game cannot take place at Adel and instead the game will be played at Leeds Beckett University, Headingley Campus, LS6 3QT. Push back is 2:15pm with 70 minutes of hockey followed by the tension of flicks if it’s a draw at full-time. It’s a free event and free parking is available on site, and nearby roads. Arrive from 1:45pm to soak up the atmosphere of a knockout competition! We hope to see as many members, their families and friends there as possible on the side-lines in support! If you’re an old boy/girl we’d love to see you there too! And don’t forget to wear orange! Join the Facebook Event for the game here and invite your friends!